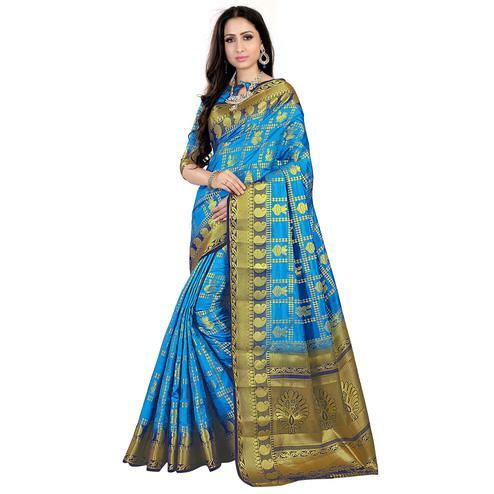 This sky blue chanderi silk saree has self-woven lining body having small designer paisley butta throughout and designer zari pattu border. 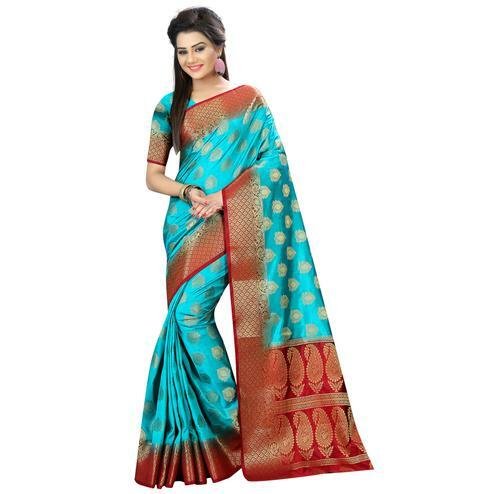 It has got designer paisley and flower daman weaved through resham threads along with zari border. 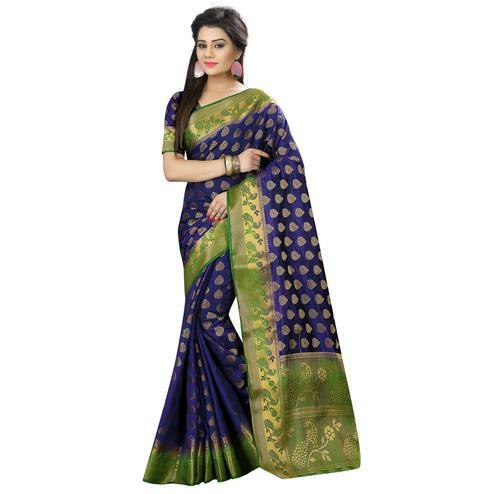 It has got simple zari lining pattern chit pallu. 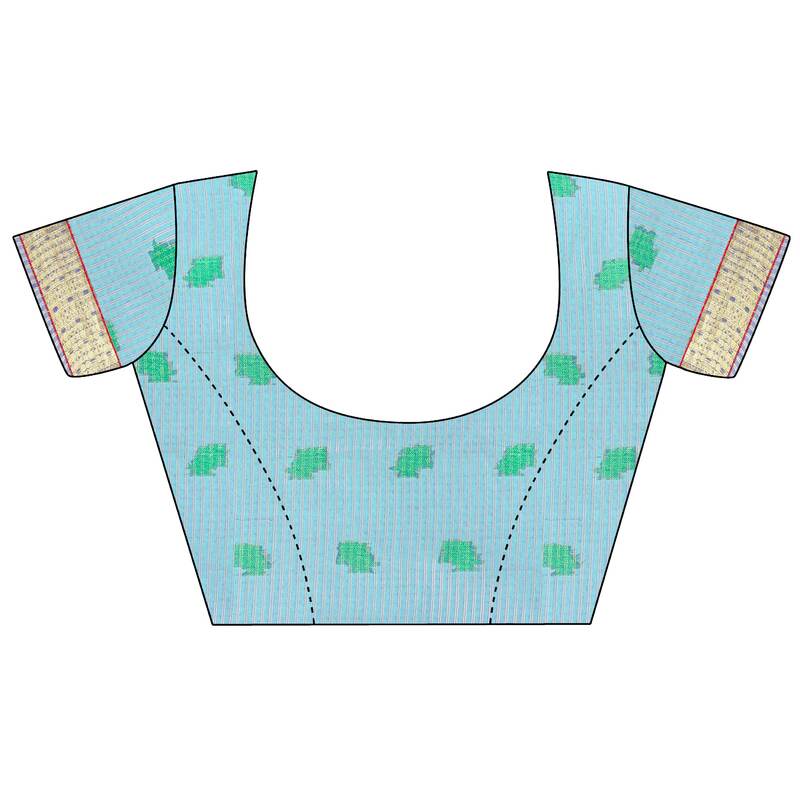 The matching blouse piece which accompanies really compliments your diva look. It is must to add to your wardrobe. The artistic pallu and the sensational resham woven designer daman live up to the promise. 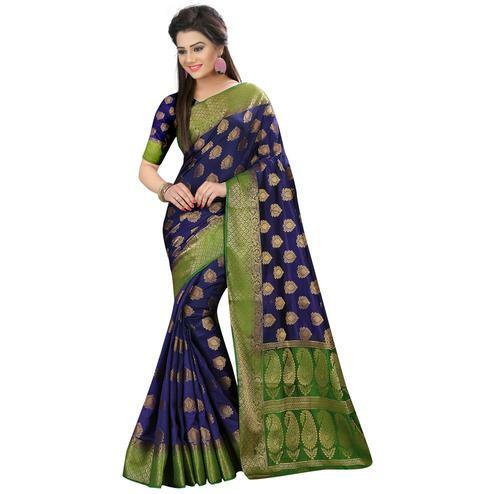 The saree meant for modern traditional wear suits every occasion.